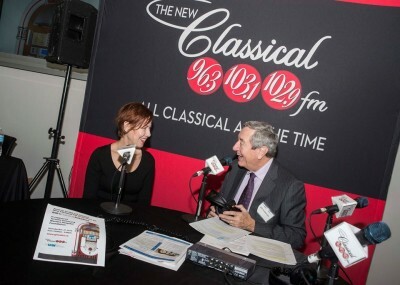 The 1st Annual New Classical FM Radiothon…A Success! 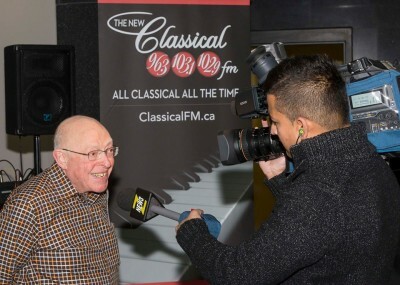 Thank you to all the incredible UHN patients, doctors, staff members, volunteers and donors for making The 1st Annual New Classical FM Radiothon a success! We can’t thank you enough for all your support and dedication to this great cause. Your continued generosity makes life-saving care possible at UHN. 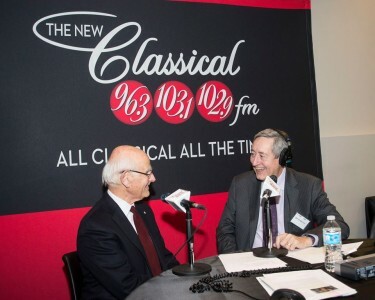 Dr. Michael Baker kicks off the day’s event with host Bill Anderson. Amazing work ladies! Thanks for all your help. 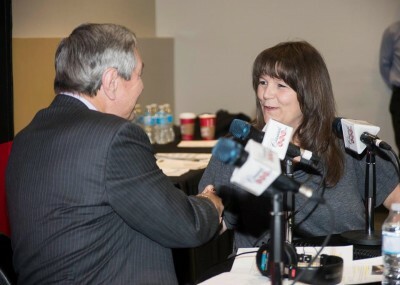 Stacey Yepes talks with Bill Anderson about her incredible “Stroke Selfie” story. 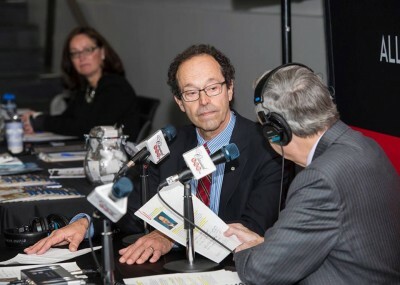 Dr. Charles Tator talks with host, Bill Anderson about Concussions, their consequences and how to take preventative measures. UHN Patient, Al Dickstein, shares his story of overcoming advanced heart failure through the continued support of Doctor’s at UHN. 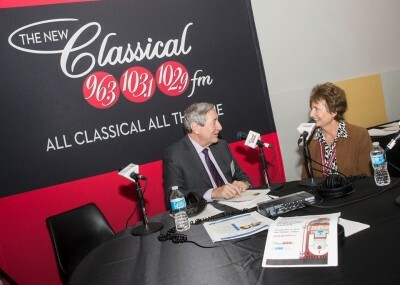 Kathy Camelon was kind to share some of her time with us on-air today. Kathy is a Registered Dietician and Certified Diabetes Educator at Toronto General Hospital. 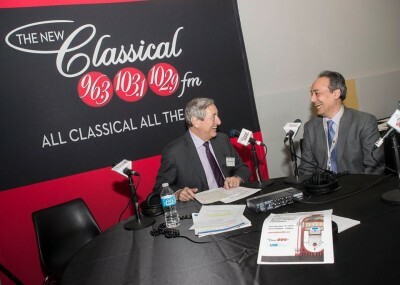 Psychiatrist and Sleep Specialist, Dr. Raed Hawa shared some great tips to combat sleeplessness with Bill Anderson in an interview today. Bill Anderson interviews Zoomer Radio Host, Libby Znaimer about her incredibly inspirational cancer story. 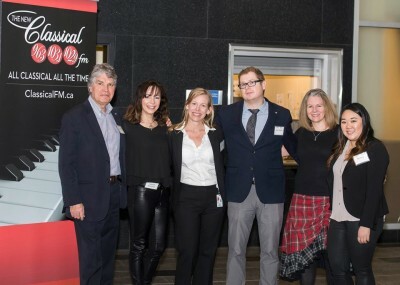 Some of our Classical FM team! 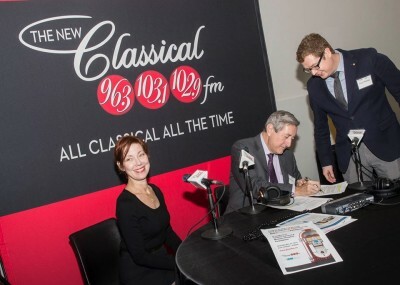 Libby Znaimer, Bill Anderson and Paul Thomas taking care of business at today’s Radiothon event.